Chain Reaction Cycles is currently investigating apparent card fraud suffered by a number of its customers. 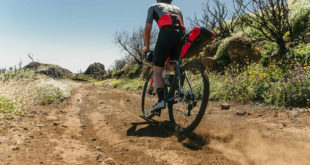 Consumers purchasing from the site have been posting in numbers on leading consumer sites Singletrack, BikeRadar and Facebook about the problem. "Just want to give you an update as you may have missed our earlier statements. We know that some of our customers have experienced credit card fraud after placing an order with CRC. Senior staff in CRC where alerted to forum comments on Sunday 6th of March. We immediately began our investigations enabling to release information via community forums on Wednesday the 9th, acknowledging that we were actively investigating the situation. So far, we have been contacted by customers who purchased in February and the beginning of March. The contacts we have had both directly and via forums equates to under 0.1 per cent of on-line orders placed In that same time period. However, we understand that for those effected this is of great concern and as we take our customer’s security extremely seriously we are taking all the steps we can to understand what has happened. CRC have employed one of the UKs leading internet security companies to carry out an immediate and full forensic investigation into CRCs infrastructure. This investigation has so far uncovered no evidence of any breach. We are also fully engaged with our card processing companies and the card schemes. This investigation is still underway. Purely as a precaution, Card Issuers may make the decision to reissue new cards to recent CRC customers. If your card is reissued it does not mean that your details have been compromised but the banks take an ultra cautious view on this as the cost of re-issuing a card is much smaller than resolving any potential issue in the future. When will CRC have more information? We are working round the clock to get an understanding of what has happened; as we get greater understanding we will continue to keep you up to date and intend to issue a further updates over the next week or so. So far the investigation has uncovered no evidence of any breach but if you want to order on CRC without CRC being in contact with your credit card details then choose Pay by PayPal and checkout using your credit card via the PayPal express checkout. We want people who have been directly affected to contact us so we can personally update you by email. Please contact us on +44 (0)2893343758 between 9am – 5.30pm or email enquiries@chainreactioncycles.com and we will be glad to help you.